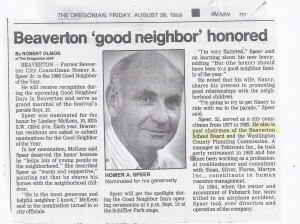 Homer Speer’s Civil Service includes Beaverton City Council, Beaverton School Board and WA Cty Planning Commission. 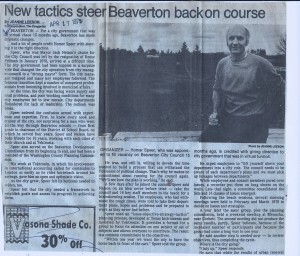 He also served as Grand Marshal for Beaverton Good Neighbor Festival in 1986. 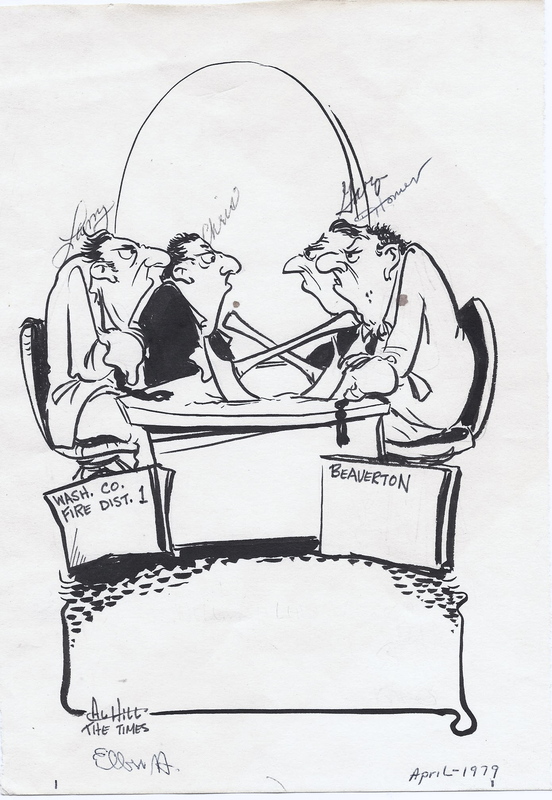 Political Cartoon by Art Hill Featuring Washington County Fire Commission & Beaverton Commissioners. Discussion about the Fire Department jurisdiction in WA county. 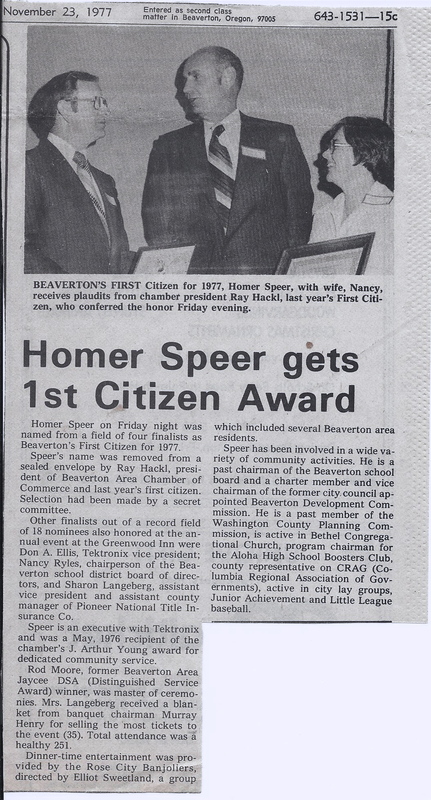 Homer Speer Receives First Citizen Award from Ray Hackl in 1977. 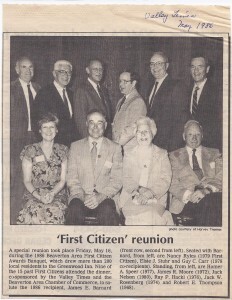 Speer’s wife Nancy participates in the ceremony as well. 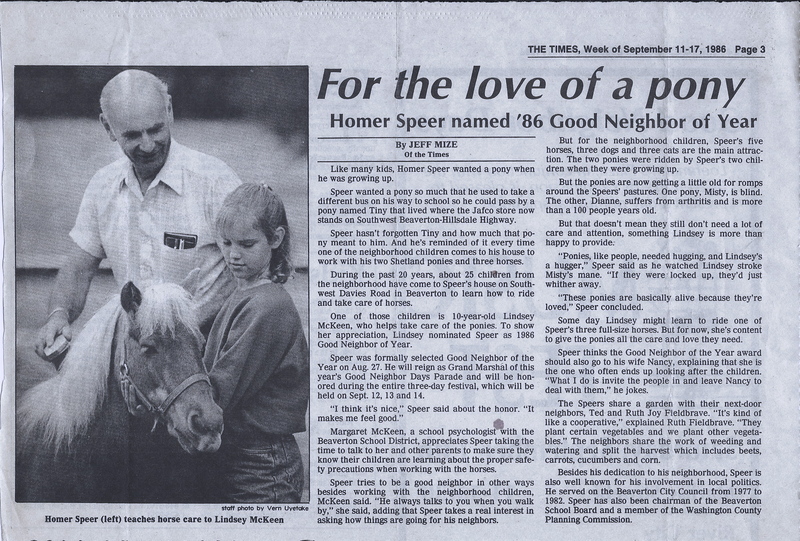 Beaverton Good Neighbor ’86 Homer Speer and Lindsey McKeen groom one of two Shetland ponies which have been ridden by neighborhood children over the past 20 years. The Speer family has shared their love of horses with more than 25 neighborhood kids, teaching them to groom, ride and care for animals. 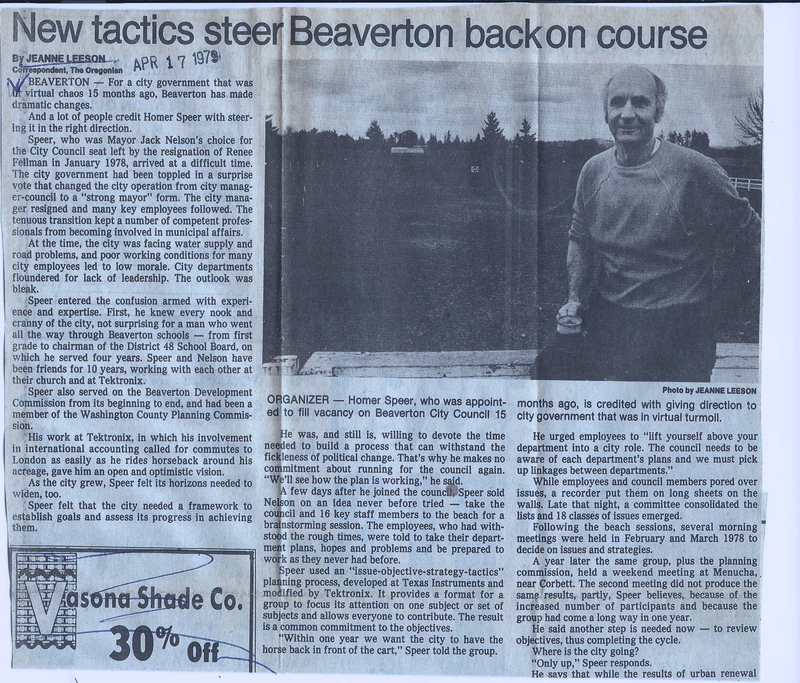 Beaverton City Council appoints Homer Speer in 1978. 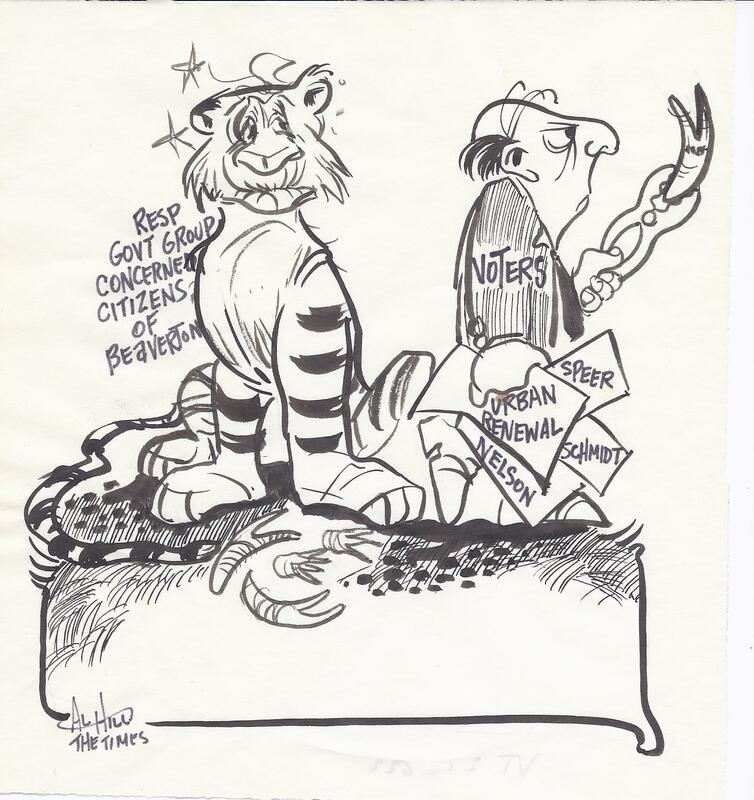 Speer provides the framework and objectives to improve outcomes. 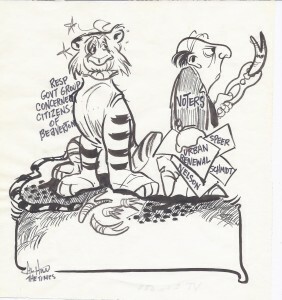 Poliitical Cartoonist Al Hill illustrates how Responsible Government Group Concerned Citizens of Beaverton looses its tooth at hands of voters. 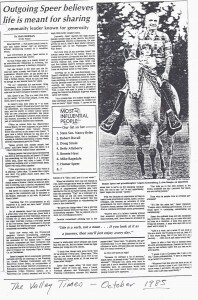 The Valley Times Article: October 1985. 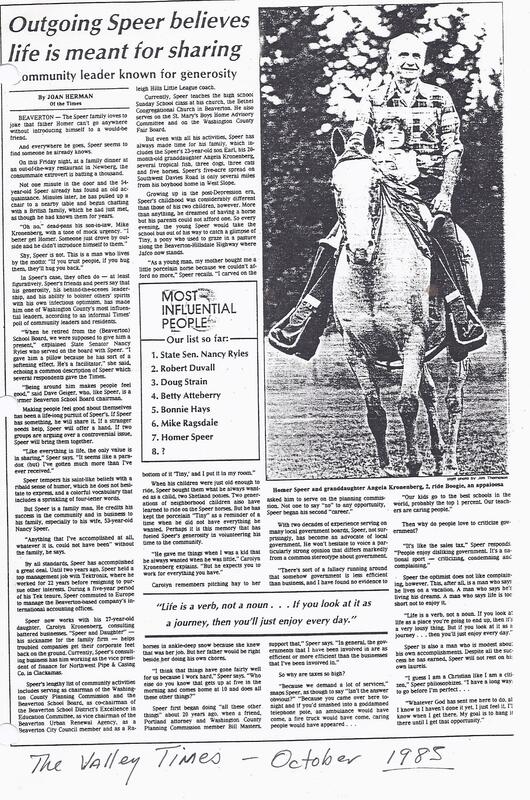 Homer is listed as one of the Most Influential People. 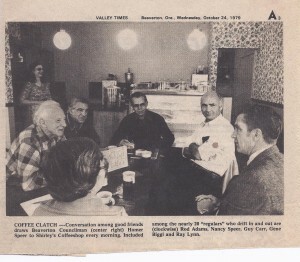 His facilitation skills, Civil Service and family connections are noted. First Citizen award Winners are Celebrated by the Beaverton Chamber of Commerce. 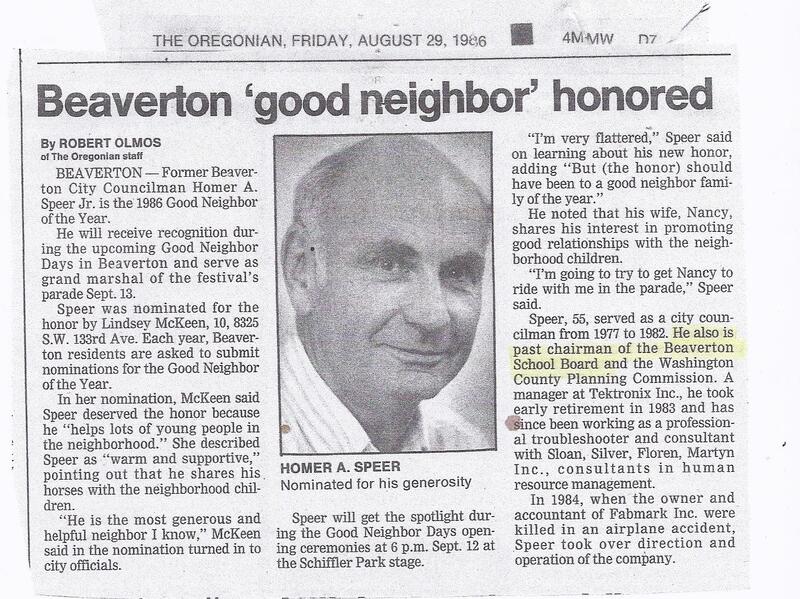 Retiring Homer A Speer Talks about his career with Tektronics and what is next.